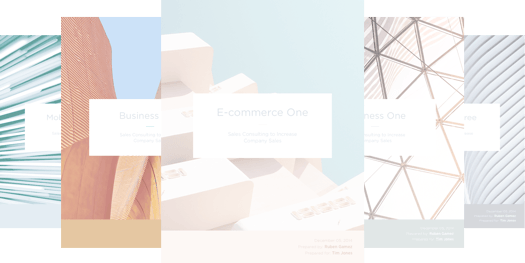 During the course of selling your service, business owners, managers, and independent contractors may find themselves needing proposal formats templates. It is important to distinguish proposals samples from templates. The samples have already been created for a specific business or it may contain the details of a certain offer. Templates, on the other hand, are the format you can follow by simply inputting your company details. Proposal formats templates can also be customized according to your needs. For example, you can add sections, restructure the content, and provide any other information that is relevant for the prospect. By and large though, a lot of contractors use a pre-made template and just input their logo, company information, and details of the service into it. When a proposal is solicited during the course of a sales process, it is recommended for you to be ready with proposal formats templates that can easily be customized for formal consideration. This is because most clients that solicit for it are usually managers who need to submit your offer to their boss for approval. They may also be part of a decision-making panel so the details you provide on the proposal formats templates are critical in determining whether your company will be chosen or not. For this reason, the proposal formats templates you should use must comply with the expectations of the client. It must be better than competing bids. Ensure that yours contain all the key elements including a summary of the company’s needs, the best solutions to deal with the problems, and a detailed table showing milestones and project deliverables. Include the cost of your service as well because the client will need it during deliberation. If the list of email addresses in your hand came from your lead generation efforts, then remember, you’re still at the initial steps of the sales process. The proposal formats templates you use should ideally read more like a cover letter than a formal bid. That stops the reader from getting intimidated by you. It also makes your company seem a lot more approachable. Consider how you’ll react to a friendly email compared for a formal proposal that solicits business. For most people, they are more likely to react to the former. This is especially true if you are targeting small enterprises and individual clients. Try to do more research on your target market to identify which approach would be more effective in your case. Now that you know the different approach must be taken in a solicited and unsolicited proposal, the next step is to find the best proposal formats templates. It would be highly beneficial if you find formats that would be suitable in the two approaches. You can easily customize the template based on the information you gather and the details provided by the client. Bidsketch offers flexible proposal formats templates that can help you generate more business.